IBM Watson is a computer system that defines a new era of computing. Watson is IBM's answer to the next generation of computing challenges, in which people want to interact with systems that truly understand natural language rather than simply crunching numbers. Today, I bring you three articles about Watson. 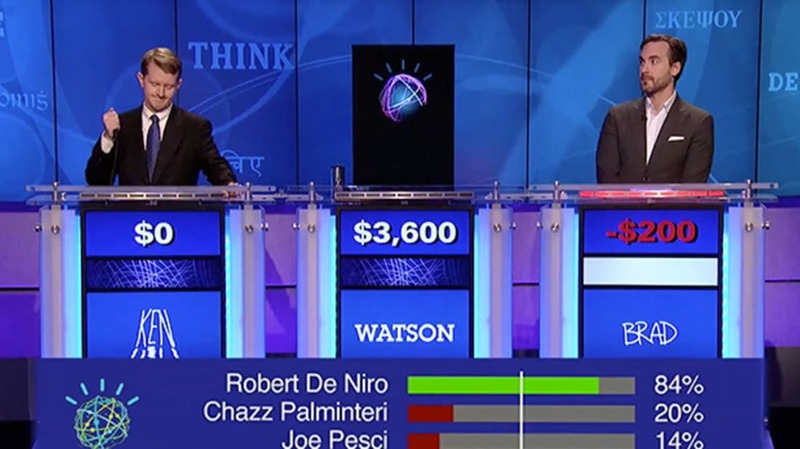 First, let's take a look at Watson during its early days playing Jeopardy!, which I first covered starting in 2010. Here are some of the best Watson-on-Jeopardy! videos out there, with a special focus on the computer science involved. Keep in mind that Jeopardy! is only the first challenge Watson took on -- in our next two articles we'll see what it's been up to since then. But for now, get some popcorn! In June 2010 IBM released this video, announcing its next Grand Challenge: can a computer compete against the world's best Jeopardy! players? After this brief intro, we'll roll through prep for battle, and the final match itself (highlights of it, anyway). But here's where it started. Watson itself is a huge collection of IBM POWER7 servers, and it started without a voice nor physical avatar to represent it onstage among humans. So what was going to stand at the podium on Jeopardy!, and what voice would come out of its virtual mouth? Generative artist Joshua Davis developed the code that created Watson's animation. He started with IBM's "Smarter Planet" logo and built on it; as a subtle tribute to Douglas Adams fans, he added 42 lines swarming around the planet, shifting color along with Watson's confidence in a given answer. In this video, we see both the creation of the avatar and Watson's voice. Taking a single Jeopardy! clue as a jumping-off point, we can understand how Watson arrives at an answer (technically, many answers) by combining a series of techniques and aggressively filtering them to arrive at its best answer. The clue? "The first person mentioned by name in 'The Man in the Iron Mask' is the hero of a previous book by the same author." If you're into the computer science aspects of Watson, this is the video for you. In 2012, the PBS series NOVA covered Watson in an hour-long documentary called Smartest Machine on Earth. The video is available online (or you can buy a DVD or iTunes version in higher quality). Watch Smartest Machine on Earth on PBS. See more from NOVA. Here's a bonus video! IBM turned 100 years old in 2011. To mark the occasion, they commissioned a documentary from director Errol Morris, with music by Philip Glass. I was most moved by the part about the space race, starting around 14:28, with an especially poignant Apollo 13 segment at 16:20.